Each new year I take the time to set detailed & challenging goals for myself. Here are my objectives for 2019. Tell me what you think or link to your own 2019 goals in the comments below. Develop cutrerphoto.com & move all photography content there. (Hopefully) procure the forthcoming Panasonic S1R full-frame camera. In the last post I talked about WordPress Updates, next we will discuss choosing a WordPress Theme. My requirements for a theme may not be the same as yours but here they are. Over the years I relied on the WordPress delivered themes, Twenty Twelve, Twenty Thirteen, etc. Each one was a little different, generally followed web standards and loaded fast. 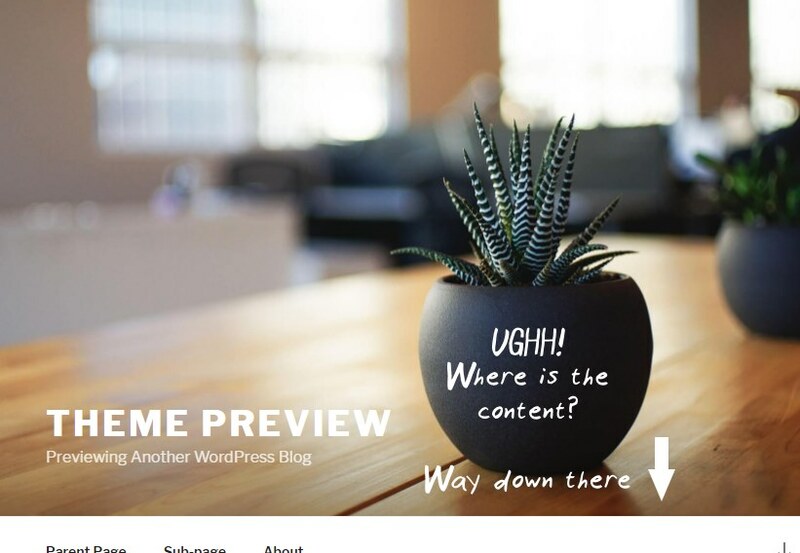 My problem with these WordPress themes was that they sometimes had over exaggerated styling such as the huge header images of Twenty Seventeen which placed every page’s content below the page fold. 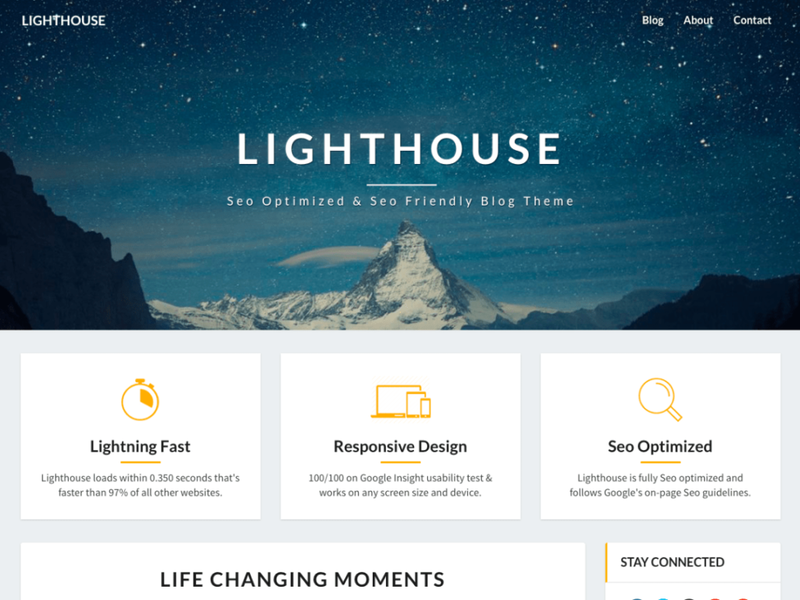 My search for a great WordPress Theme lead me to the LightHouse theme. Lighthouse ticked all of the boxes and after using it for a while I decided to support the theme’s creator by switching to the paid version. It’s available at a reasonable price of $32 USD. Lighthouse is a Bootstrap based, mobile responsive theme. It features a good number of Widget slots which gracefully disappear in the layout when not populated. So I use Lighthouse, it’s not the ultimate WordPress theme but it serves me well. I wish you Happy searching for a WordPress Theme that fits your style! In the last post I talked about DigitalOcean hosting and CloudFlare CDN. In this post we will move into the WordPress realm. WordPress is great! I wouldn’t say it’s for everyone or for every site but it sure does have a lot to offer. If you are trying to decide if WordPress would be a good fit for your website you might want to keep reading. The best feature of WordPress is in-place upgrades to newer versions, as well as delivery of Theme and Plugin updates. Web-based application are hard to upgrade but WordPress has struck a good balance with it’s approach. Once configured correctly, your WordPress blog and installed plugins can be updated with only a few clicks. It’s very important in today’s landscape to keep software up-to-date. 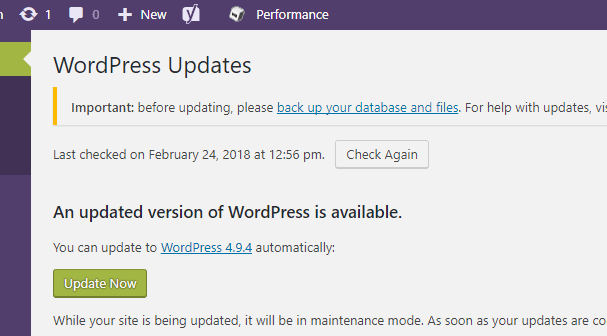 Before you launch your website and begin blogging you want to make sure you have WordPress updates configured properly. There are several updates methods including Auto Updates, I personally use the FTP update method. I simply configure VSFTP to only bind to localhost (127.0.0.1), give WordPress the correctly credentials and everything upgrades smoothly. This month marks the 10th anniversary of this blog so I thought I would do a behind-the-scenes tour and share with you some of the WordPress plugins and techniques that I have relied on and refined over the years. Before we get into the WordPress specifics lets look at how and where the site runs. The website begin life on a Slicehost VM. I absolutely loved SliceHost, they came into the webhosting/vps landscape with disruptive pricing and just killed competition. Unfortunately, Rackspace acquired SliceHost and ran it into the dirt. Enter DigitalOcean, I don’t remember exactly how I discovered DigitalOcean but the price was right, I migrated all of my websites and never looked back. So, DigitalOcean is where I now host the site, originally on a 512MB Ubuntu Droplet. It was challenging to configure Apache/MySQL to coexist with only 512MB of RAM but I was happy with the performance. When I upgraded from one Ubuntu LTS version to the next I did so by creating a new 1GB droplet and I migrated everything over. In late 2017, DigitalOcean double these 1GB Droplets to 2GB Droplet. Today the site runs on a 2GB Droplet with 1 vCPU, 2GB RAM, and 50GB of SSD storage. Want your own server from DigitalOcean and $10 credit? As I hinted, the host operating system is Ubuntu running Apache Web Server and MySQL. I have since fronted the entire site with CloudFlare which was a no-brainer for me. I’ve enjoyed the inherent caching and features that you get for FREE with CloudFlare. For example the site is now SSL enabled, I didn’t have to buy or install an SSL certificate. All SSL technicalities were handled by CloudFlare with the flip of a few switches. Hey welcome to the `Updates` section of jcutrer.com! I’ve created this space so that I can write quickly and not worry about the creation of formal, categorized articles. To start with, updates posted here will not have comments enabled. I may enable comments at some point if I see the value of doing so. I’ve recently finished some major behind-the-scenes changes to the blog. I’ve moved the entire site to SSL with some help from Cloudflare. I’ve also setup a static files CDN (using the W3TC plugin) to improve PageSpeed. Disqus comments went out the window and I’m back to standard WordPress Comments. 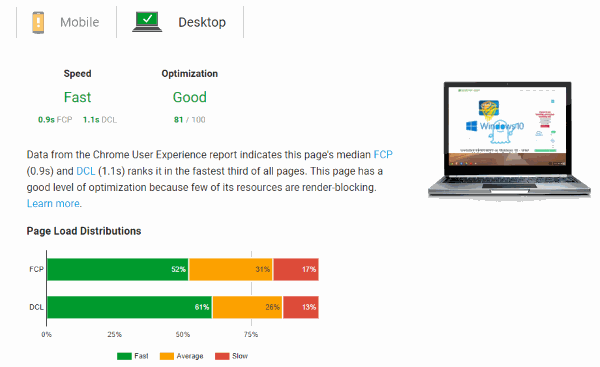 The website has seen a continued growth in traffic with a noticeable boost right after I switched over to SSL. I can only attribute this boost to Google Search Engine’s bias towards SSL enabled pages. The blog experienced some exception traffic in January-February primarily due to the popularity of this article. In addition to the MailChimp powered email newsletter I’ve added OneSignal desktop notifications which you can enable by clicking on the red bell in the lower left of any page.